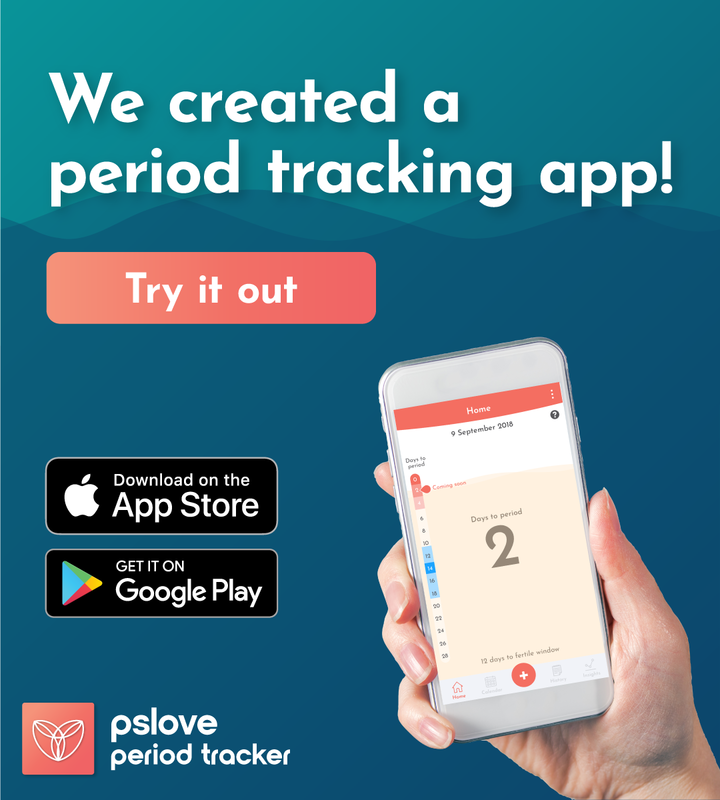 Secret Day is one of the lesser known sanitary pad brands here in Singapore. It is exclusive to Watsons (I couldn’t find them in other health & beauty stores and supermarkets) and it’s a Korean brand like Yejimiin, which I’ve also reviewed before. However unlike Yejimiin, Secret Day pads aren’t herbal. We’ll be looking at the Secret Day Love Recipe Ultra Slim in M size and XL size. I’ve done some research on these pads and we’ve also conducted some experiments on them, so do read on for my honest review of these pads! According to their website, Secret Day prides itself as a feminine brand who understands the hearts of women. Secret Day pads are supposedly softer, more special and safer than [other pads]. Secret Day is a woman-centric brand and they’ve “gone through endless research and tests based on feedback from customers” such that they are able to provide quality products now. 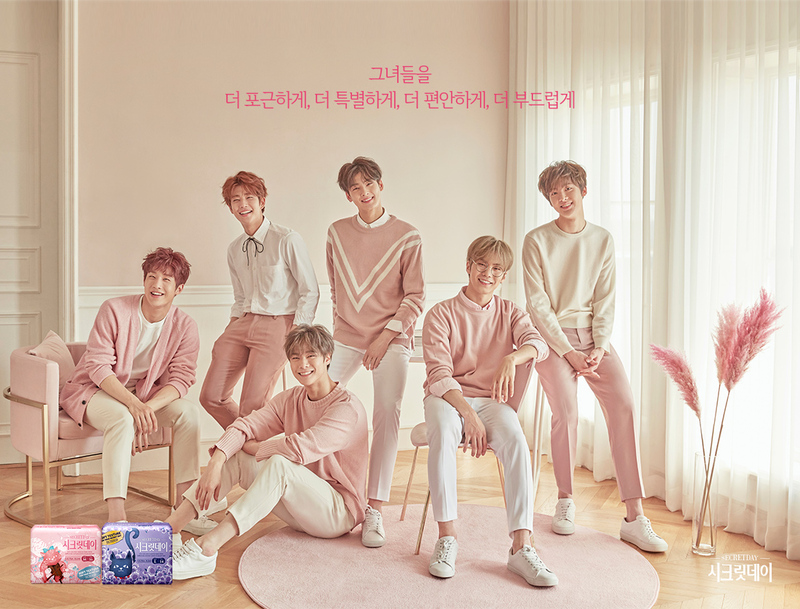 It seems like the brand mainly targets adolescent girls or teenagers as they regularly get popular male K-Pop idols to endorse their products. 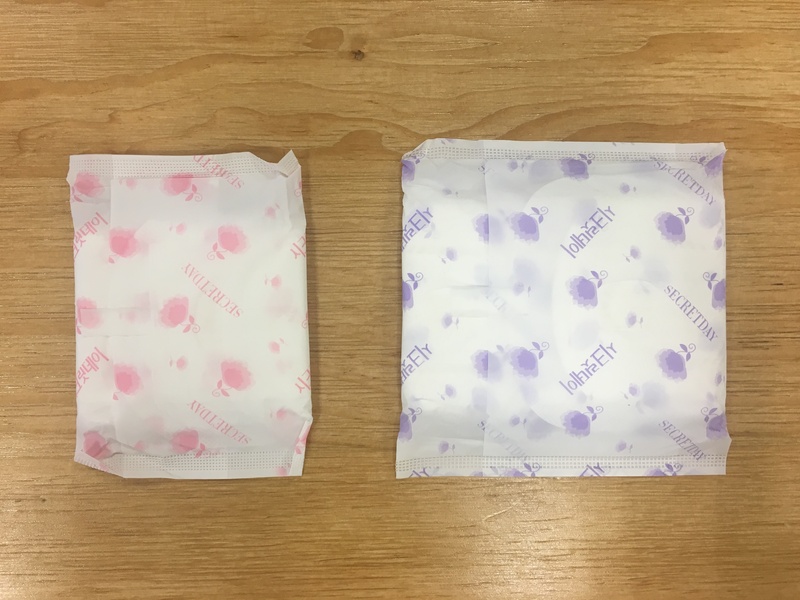 We’ll be looking at how the Secret Day pads fare in terms of Design, Absorbency, Leakage Protection and Comfort in both M and XL sizes. I love the packaging! It’s just so… pleasant. And feminine. It looks like it might be scented, but it isn’t! Good for those of you who don’t like scented pads. 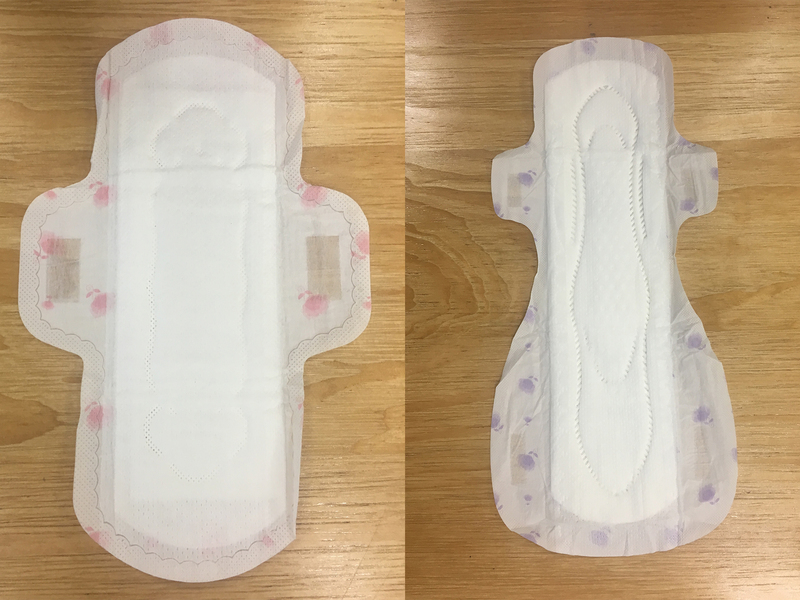 The shape and size/length is very typical, like all other pads. The two lengths that we have here are – M size (24.5cm) and XL size (36cm). I’m fine with the packaging and design of the sanitary pads – they’re just like regular ones! 2. how transferable the absorbed blood is. Judging from the video above, I would say that the absorption is pretty good! It took around 11 seconds for the fake blood to seep into the pad, which is quite fast! 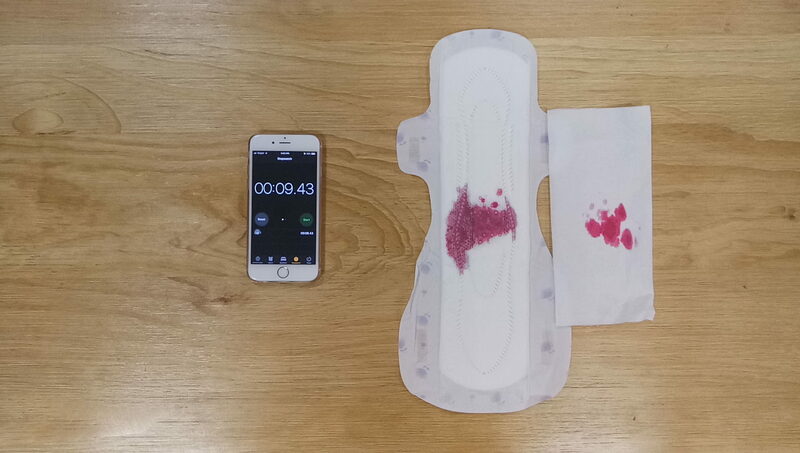 Usually pads with cotton surfaces absorb quickly but the blood is usually more transferable, meaning that when you exert some pressure on the pad, some amount of blood might resurface – like a sponge. Indeed, there was quite a sizeable amount of blood transferred from the sanitary pad onto the tissue. This is going to affect how it feels down below when you sit down (a bit damp). The Secret Day Love Recipe might be more suitable for when your flow isn’t too heavy. Perhaps if we waited a while longer after the conducting first test, it wouldn’t be as damp on the surface! We conducted the same tests with the XL alternative, which is typically used for heavy flows and/or overnight. Like its M size relative, the Secret Day Love Recipe XL size absorbed the fake blood really quickly too! Within 10 seconds, all of the fluid was absorbed beneath the surface. In terms of transferability, the XL alternative is as transferable as the M size. I suppose the only difference there is between these two sizes is just their length and width (at the bottom)! 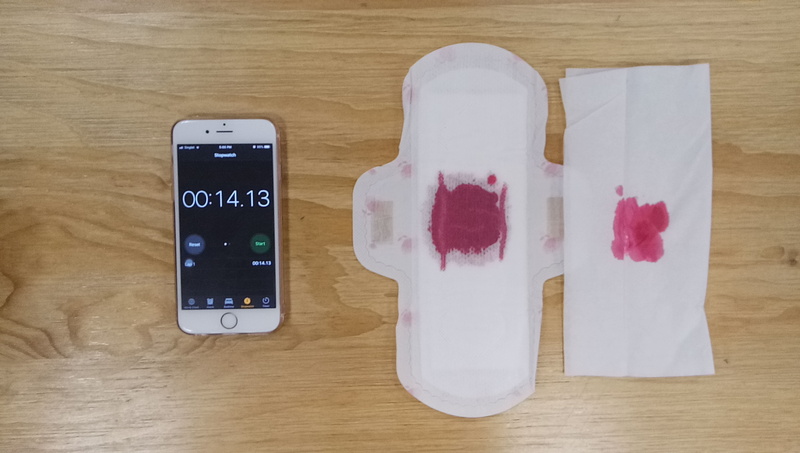 To see how well the sanitary pad prevents leakages, we did a simple test to see if the pad is able to absorb blood quickly enough when tilted at an angle. Sometimes your sitting or sleeping position may cause the sanitary pad you’re wearing to be tilted towards the back or the sides. 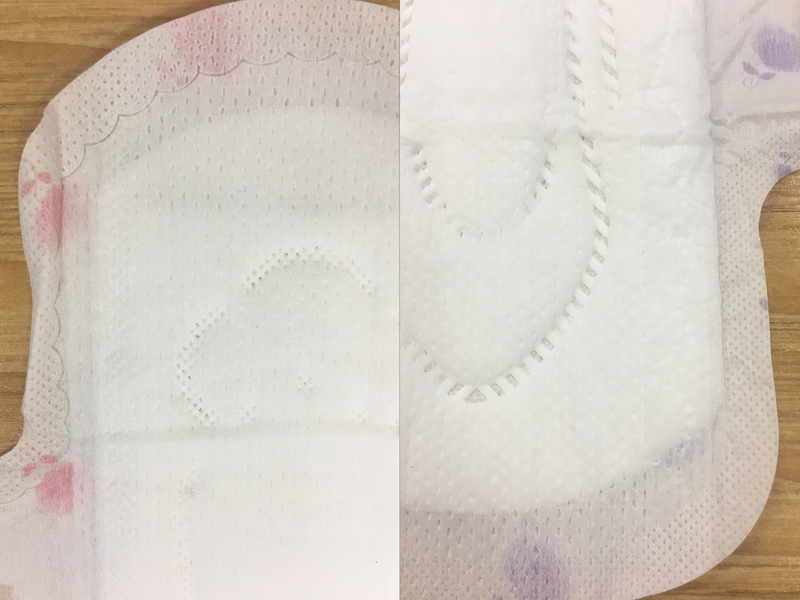 If your pad does not absorb blood quickly enough, or if the pad does not have effective flow lines/guards to direct blood flow, the probability of leaking is high. I think the Secret Day Love Recipe does alright in preventing leakages! When tilted towards the right, blood was pooling dangerously close to the wing area. In reality we don’t release blood that quickly so I guess you’ll just have to make sure you sit straight without fidgeting much if you’re wearing this pad. If you sleep on your back, the Secret Day Love Recipe in XL size should be able to keep you safe! However wearing an extra long pad to sleep would not help if you are a side-sleeper, especially if you bleed a lot overnight. From the video you can tell that it might be a risk to wear this pad to sleep at night if you’re on a heavy flow. The flow lines did help to some extent though! 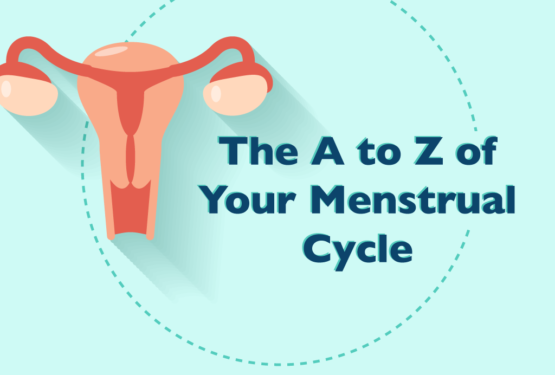 The material used for the surface of sanitary pads is especially important as it has to be in contact with the skin down below. Thankfully, the Secret Day Love Recipe has a nice and soft cotton surface! I love it. 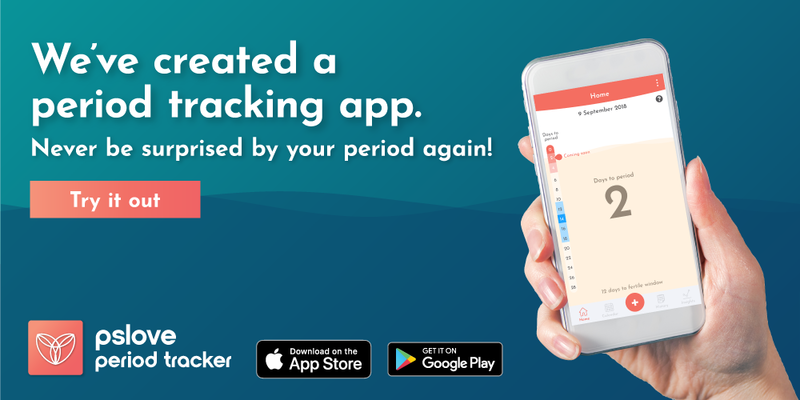 The absorbency and leakage protection factor of the Secret Day Love Recipe can be improved! It’s nothing spectacular – just average. However it’s really comfortable and its packaging is pleasant to look at! 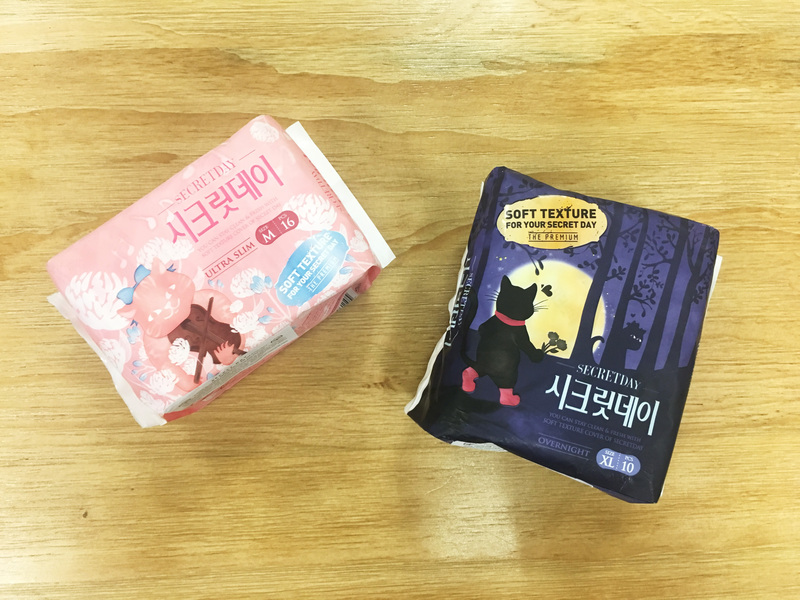 If you’ve tried the Secret Day sanitary pads, do let us know in the comments below what you thought of it!